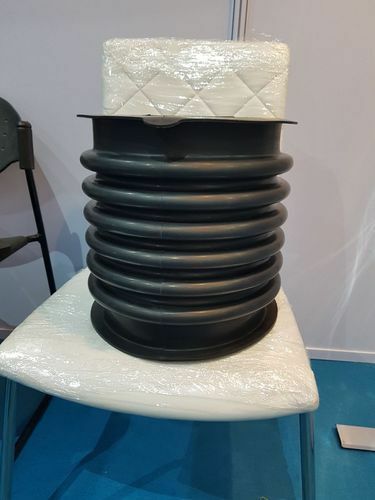 We are leading manufacturer & exporter of Rubber Bellows in all type of rubbers like Silicone, Neoprene, Nitrile, EPDM, Viton etc as per customer drawing & specification. We at Royal Plastic Industries Pvt. Ltd, bring forth a clan of products like industrial rubber products, silicon rubber products, extruded rubber products and other different rubber made products and rubber moldings which are manufactured using the latest manufacturing and processing techniques. This has enabled us to acquire a certain position in the rubber manufacturing industry. We believe that our survival in this industry is because of our efforts we put in the enhancement of our capabilities and extending our vistas of specialization areas. Manufacturers & exporters of rubber molding, rubber products, rubber molding products and silicone rubber products.